Hair Loss Treatment is closely linked to Alopecia treatment. 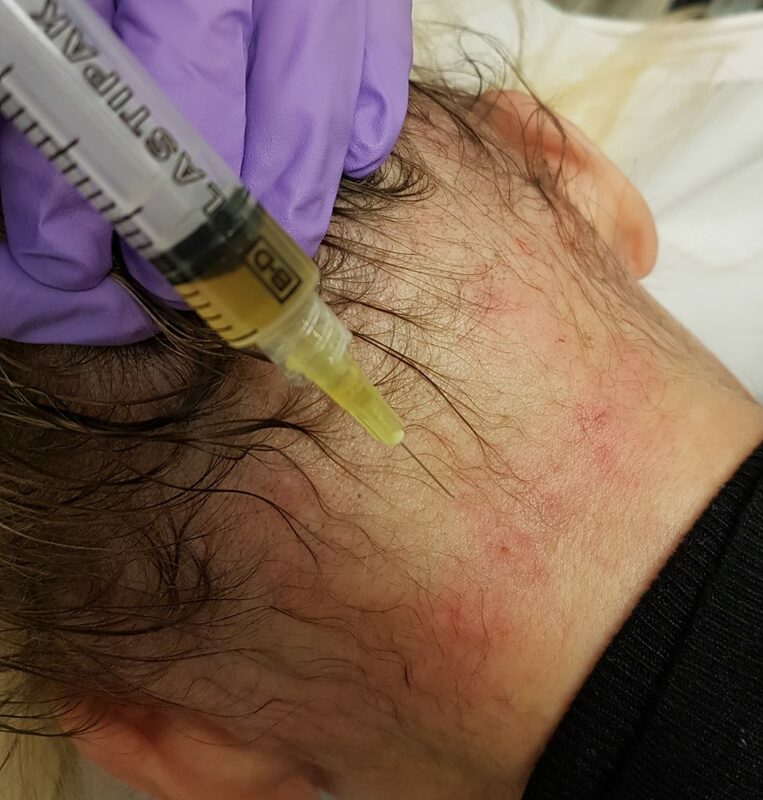 We have a joint approach between PRP and Scalp Micropigmentation. PRP- Plasma Rich Platelet therapy has consistent results in promoting hair growth. This therapy is very effective to promote the growth of any dormant follicles. It also strengthens follicles making the hair still in place, thicker. PRP is sometimes known as the Vampire Facial. We draw your bloods and then spin them to separate the white and red blood cells. The PRP (white blood cells) are then re injected into the affected area nourishing the follicles. With PRP a course is needed although you should see results from the first treatment. We recommend a course of 6 to 8 treatments and then yearly or bi yearly top ups as needed. Prices start from £250 per treatment. 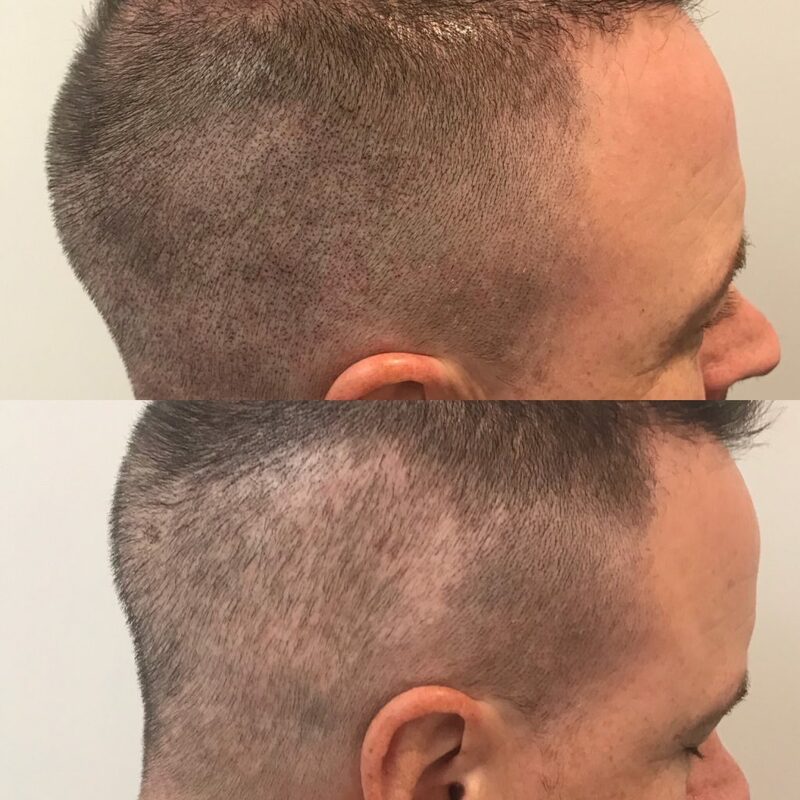 Scalp Micropigmentation – This is the art form of tattooing hair follicles on a bald head or thinning hair to disguise thinning hair. This is a very specialised procedure that requires several treatments in order to gradually build up the colour to the desired shade. This is a procedure that requires a high degree of training. We highly recommend that you come to us for a consultation. These treatments are done by two separate technicians and often we will try to get you to speak to both of them.